MuscleNerd has just released Redsn0w 0.9.14b2, and update version of RedSn0w that not only improved the iPhone 3GS baseband 06.15.00 downgrade but also adds the DFU IPSW feature to put your device into DFU Mode if you’ve a broken power/home button. In case you don’t know, RedSn0w allows iPhone 3G and iPhone 3GS users with iPad baseband 06.15.00 to downgrade back to 05.13.04 baseband and enjoy the fully working GPS and UltraSn0w unlock. Redsn0w 0.9.14b2 update improved the baseband downgrade process because the previous released missed out support for a couple of NOR chips. This version covers 3 different types of NOR chips in the iPhone 3G and 3GS . If you’re one of those iPhone 3GS users who could not downgrade their 06.15.00 baseband, you should really give this update version a go. Alongside the downgrade improvements, Redsn0w 0.9.14b2 also brings a new ‘DFU IPSW’ feature to help those with broken hardware buttons to pur their devices into DFU Mode. This new feature can be found under: Extras –> Even More -> DFU IPSW. Happy 4th of July! Today’s release of redsn0w 0.9.14b2 improves the iPad baseband downgrade and should cover anyone who couldn’t downgrade with 0.9.14b1. This version covers 3 different types of NOR chips in the iPhone 3G and 3GS (the earlier version covered only the most prevalent NOR chip). We’ve also simplified the process and added logging to help diagnose any remaining stubborn iPhones. Should the downgrade fail to take, feel free to leave the redsn0w log in the comments below. Use the “Extras->Even more->Backup” button to grab a copy of /var/mobile/Media/redsn0w_logs, then extract the log text file(s) from the zip and paste them into the comments (currently that log file is generated only during baseband downgrade runs). NOTE: The original warning about 3GS units manufactured in early 2011 or later still holds! They have a NOR chip that’s incompatible with 06.15.00 and so trying to install it will brick the device. Please read and re-read the warning in our earlier post. Thanks to bobmutch and drh for lending us their iPhones to improve the baseband downgrade! We’ve gotten a lot of feedback from users who can’t launch a DFU ramdisk because their iPhone home/power buttons are broken or intermittent. We’ve added a new redsn0w feature that lets you enter DFU mode as long as your phone is healthy enough to restore to a normal, everyday IPSW. You don’t need to be already jailbroken to use this method. In redsn0w, go to “Extras->Even More>DFU IPSW” and select an IPSW that is currently being signed for your device and that you’d normally be able to restore to without any hacks. 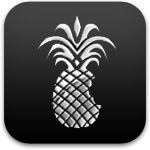 redsn0w will create an “ENTER_DFU_” version of the IPSW that you can restore to just like any other IPSW, except that now you’ll be dumped into DFU mode towards the end of the restore (WARNING, your screen will remain completely black…the only way to even know its own is that iTunes and redsn0w will detect it!). The technique used by this feature is 3 years old but surprisingly still works today! Does this now also work for new bootroms? Great job! BB downgraded without a problem and GPS is very accurate (not cell tower triangulation). Downgraded without a problem!… this one works well not like the last crappy version!… CONFIRMED IT WORKS!! Thanks a lot to the developers!!!! you saved me! this time it works great!!! my 3gs’ BB downgraded without any problem and GPS works well!!!!!!!!!!!!!!!! Hey, did you require ultrasn0w to unlock after the downgrade and if yes, did it unlock the network successfully? after the succesful downgrade, my 3gs 6.15.00 works as normal with it’s ultrasnow unlock as before the downgrade. Great to know that it works with new bootroms! Gonna have to try it some time. Fantastic!! Worked without any problems. Thanks a bunch!! Worked here with new Bootrum. Hey, I’ve been trying for about a month to jailbreak &unlock my iPhone.. In my most recent attempt I successfully jailbroke my 3GS, but instead of downgrading the BB, it upgraded it. I decided to unlock it anyway, with the intention of figuring out how to downgrade the BB later, but it wouldn’t unlock, even with my installation of ultrasn0w fixer for 5.1.1. So thenn, I tried unsuccessfully to jailbreak it with the recent update of redsn0w.. it didn’t jailbreak& remained unactivated. However, I didn’t initially realize that it was unactivated so I synced it from my backed up iPhone data with the result of only the name of my iPhone being changed to its previous one… all of my music, apps, etc. wasn’t on there. After this I tried jailbreaking it again with redsn0w 0.9.14b2 with still no success. Any ideas as to why this is happening& how I can fix it ? Thanks so much in advance to whoever replies… it would be a HUGE help! Hello! i just come to your forum and need help from you all. i just downgrade my iphone 3g to bb firmware to 05.13.04 on version 4.2.1 last week but the gps does not work on my iphone even i try to test tomtom nz 1.2, 1.8 and 1.9. i wonder if you any one of you could help me with gps . thanks a lot! works perfectly here in philippines! Any suggestions on how to do this with a 3GS running 5.0.1 and baseband 05.16.05? I have installed Cydia but redsn0w 0.9.14b2 sees my device as “Connected (unknown device)-DFU mode”. I want to upgrade my iphone 3gs from 4.1.1 to 5.1.1 firmware using custom IPSW, i use itunes 10.6 . But itunes did not recognise iphone in pwned DFU mode using redsnow? I later noticed that the driver for baseband is not installed, i tried manual install but to avail. bluetooth,IMEI,Modern Firmware) lost. Why? Help me.